This invitation is perfect for a winter wedding. 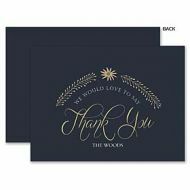 The dark blue background sets a romantic tone and is accented with a soft gold flower and text. 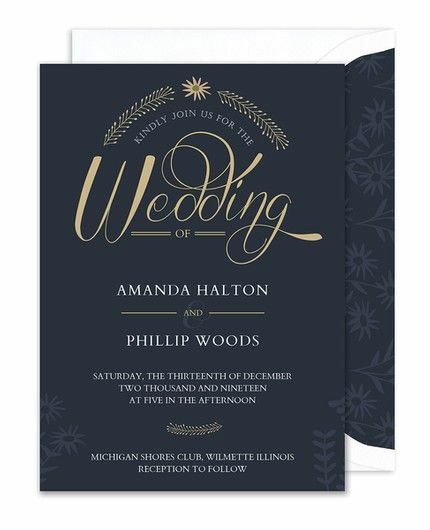 “Kindly join us for the Wedding of” is preprinted at the top of the invitation and your custom details are featured underneath.